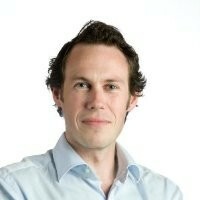 Will is a founding partner of Frontline Ventures and has spent the last decade focused on software and the internet. Before Frontline he was a partner with NCB Venture Capital and prior to that was a consultant within the strategy division of Accenture UK. During his career he has led investments in a wide range of software companies including AMCS (waste management), Britebill (consumer engagement & billing) and epubDirect (ebook distribution ). Will is a member of the Society of Kauffman Fellows, a network of 200+ venture capital professionals in leading firms around the world. He spends a significant portion of his time in the US developing investor and corporate relationships to benefit the companies in which Frontline has invested. Will holds a Chemical Engineering Degree from University College Dublin.